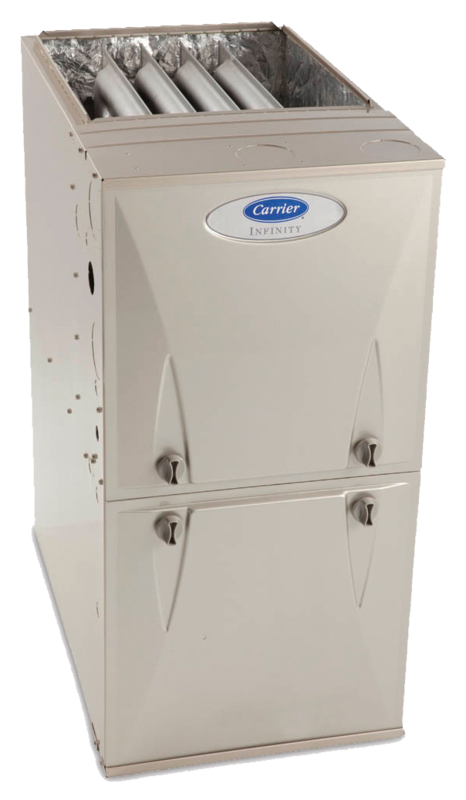 Carrier Comfort 95 Furnace 59SC5A single stage - Air Makers Inc. The 59SC5 Multipoise Comfort Series Condensing Gas Furnace features energy efficiency of 95.5% AFUE gas efficiency and workhorse PSC blower motor. This gas furnace also features 4-way multipoise installation flexibility, and is available in nine model sizes. The 59SC5 can be vented for direct vent/two-pipe, ventilated combustion air, or single-pipe applications. All units meet California Air Quality Management District emission requirements, are design certified in Canada, and are certified for mobile/manufactured home use. You Have Never Experienced in a Cost-Conscious Furnance Comfort Like This!